In August of 1991, while visiting my grandmother Anastasia who lived in Patras, which is located in the Peloponnese of Greece, I heard on the radio that the Metropolitan of Patras was going to be celebrating the Paraklesis Service at the Convent of the Prophet Elias, which is famous for the miraculous cross that appeared in a tree planted there by Elder Gervasios Paraskevopoulos. We therefore got in a cab and went to the Convent. The Service took place in the courtyard and was filled with people, though there were two empty seats up front, so we took them. But this was no ordinary service for me; there was something special about it. It all had to do with the Metropolitan. I didn't know at the time who he was, but my impression was that he was man with an angelic voice and piercing eyes as if he could see right through you. I knew there was something special about him that I wanted to learn, but it would take me some years to find out exactly what that was. All I had at the time was my awe of him, which was a rare feeling for me to have about a person I didn't know. When the service concluded and he had said a few words, I felt especially blessed when he pointed at me to come forward and be the first in the crowd to receive his blessing by kissing the cross he had in his hand. 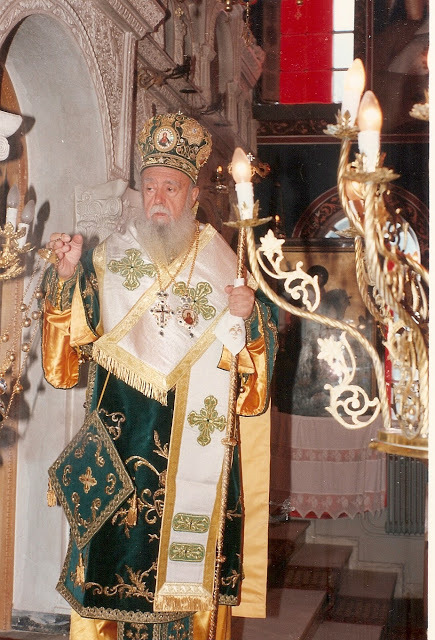 The next day I had the chance to see him again at the Cathedral of Saint Andrew the Apostle when Patriarch Alexy of Moscow and All Russia was visiting Patras. What I found out some years later was that this Metropolitan, whose name was Nikodemos Ballendras, was primarily responsible (with the help of Metropolitan Ambrose of Kalavryta) that same year for presenting the name of Papa-Nicholas Planas to the Ecumenical Patriarchate in order for him to be recognized as a Saint of the Church. The reason he did this was because he was the only living Hierarch who had received a blessing from Papa-Nicholas himself when he was a child. He was born in Athens on February 2nd in 1915, during the time when Papa-Nicholas was serving near his neighborhood as a priest at the Church of the Prophet Elisha. Young Nikodemos attended some of these renowned Divine Liturgies, that lasted many hours, and he was one of those children mentioned in his biography that would see Papa-Nicholas lifted up from the earth during the Divine Liturgy up to half a cubit. He probably knew the famous writers Alexandros Papadiamantis and Alexandros Moraitides as well, who chanted there. Many years later he wrote a book about Papa-Nicholas and composed a Divine Office for him, together with Archimandrite Nikodemos Paulopoulos, Abbot of the Monastery of Leimonos in Lesvos. These were presented to the Holy Synod of the Ecumenical Patriarchate, and Papa-Nicholas was officially listed among the saints in 1992. 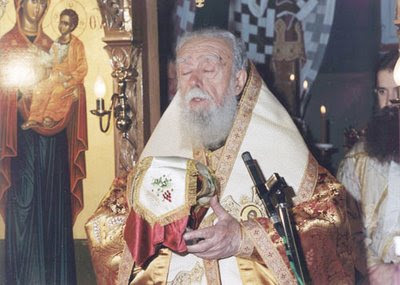 * When he was an Archimandrite he composed the official Divine Office to Saint Nikodemos the Hagiorite, which was published in 1960, shortly after his canonization in 1955. * In 1961-1962 he served as Dean of Holy Cross School of Theology in Brookline, Massachusetts. * He consecrated the Cathedral of Saint Andrew the Apostle in Patras, which was the largest church in Greece. * In 1980 he was responsible for bringing back to Patras the remaining portions of the martyric cross of Saint Andrew the Apostle from Marseille. * In 1992 he was chosen by the Holy Synod of the Church of Greece to compose the hymns for the Day of the Environment that are chanted on September 1st. * If you wanted to hear his beautiful chanting, type Νικόδημος Βαλληνδράς in the search tab on Youtube. * He reposed in Athens on November 15, 2008.